My close friends and family know that I have been a dream analysis junkie for about the last 3 years. It started after reading Freud’s “The Interpretation of Dreams.” I came away from the book fairly discouraged from ever getting into dream analysis because of the sheer volume and complexity of the material. My impression from Freud was that one must be practically genius to properly interpret dreams. This was a rookie mistake and I’ve learned that although Freud was a pioneer in the art he was far from comprehensive and his methods are by no means required to do dream work. Studying Carl Jung bailed me out. The Jungian method of dream analysis is profoundly comprehensive, and though I’m far from mastering the art there are a few basic concepts that anyone can use to begin to understand their own dreams. I thought it would be fun to write about the very basic starting point of Jung’s method. At bottom the Jungian method is based on the idea that dreams are compensatory, that is, they compensate for thoughts, perceptions, and emotions that one experiences but are either repressed or not strong enough to reach consciousness. Those thoughts, perceptions, and emotions that never made it to consciousness are stored in the unconscious and make their way into one’s dreams, appearing in the language of symbols. Why do these elements come out to play in one’s dreams? Because if they didn’t the psyche would be denied vitally important corrections for its own health. Dreams are a way for the psyche to self-regulate. It is easy to become unbalanced in life. Take the business person who spends an inordinate amount of time wearing a “business mask” and denying his or her playful or emotional self. The excessive concentration in one direction or on one facet of the psyche will often result in dreams that pull one’s attention towards the things one has been neglecting – forcing the dreamer to move closer to a psychic middle ground. This reductive function can often be destructive in nature. I can’t help thinking of childhood stars who achieve a mountain of success without achieving the inward maturity to handle it, and often wide up ruined later in life. Dreams of this sort are more or less a warning that one should back down from a false elevation and humble oneself. If the person resists the work of the psyche to self-regulate in this manner the result can be a full-blown psychosis (Jung used the example of king Nebuchadnezzar’s dream in the fourth chapter of the Book of Daniel, a warning dream that the king was headed for destruction, which in fact did result in a real psychosis). There you have it, the most basic of the basics of Jungian dream analysis. 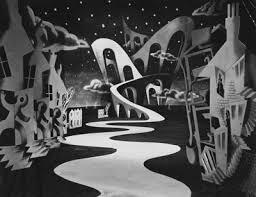 I have hesitated for months to write anything on dreams for the simple reason that some readers might attempt to apply elements of dream analysis to themselves or others and be wildly misdirected due to lack of knowledge and experience. However, writing on this foundational element of Jungian dream analysis (the compensatory function) is, in my opinion, a safe starting place. It doesn’t lend itself to a false belief in one’s abilities to interpret dreams, but rather helps to settle certain misgivings that many people have about dreams. I have encountered scores of people who treat their dreams with either total neglect or with undue fear (some even believing their dreams are the work of demonic activity, which I personally believe is possible, albeit very rare). Understanding that dreams are a work of one’s own psyche to self-regulate and boost wholeness of mind rescues dreams from both neglect and fears. The idea is that dreams are on your side, they’re not against you. They are working for your good, not your destruction. They are an opportunity for your psyche to use its full capacity to solve problems without your pesky and limited waking conscious getting in the way. dreams are compensatory, that is, they compensate for thoughts, perceptions, and emotions that one experiences but are either repressed or not strong enough to reach consciousness. Those thoughts, perceptions, and emotions that never made it to consciousness are stored in the unconscious and make their way into one’s dreams, appearing in the language of symbols. I haven’t read Jung, but I find this view to be deeply contradictory. Thoughts, by definition, can not be unconscious. Perceptions can, in the sense that you’re not fully aware of everything that reaches your eye-balls or ears. Emotions, however, are first-person phenomena and I find it hard to see how they can be unconscious. We may not understand our emotions, in the sense that we can’t name them or we get carried away by them. But we feel them, that’s why we call them emotions. I, personally, find the mind-heart christian distinction to be much useful for understanding dreams. Not interpreting them, but understand their cause and, perhaps, purpose. Dreams are products of imagination. The mind continues to be active during parts of the sleep, and so does the heart with its passions. Just as I can imagine things while day-dreaming, possibly inciting my passions (anger, sadness, all sorts of desires) aka emotions, the same thing happens, on a less controlled level during dreams. To say that dreams are a mechanism thourgh which something, somebody, or ourselves, or a part of ourselves is communicating to our consciousness is to say that this mechanism was purposefully put by God in us, if we belive we are created by God. However, I find this hard to believe for the simple reason that dreams are a total mess, communication-wise. If Scripture is hard to interpret, and our day to day life asks for discernment (which most of us don’t have), why on Earth would dreams be in any way a guide to know ourselves? Aren’t spiritual fathers supposed to help us with that? And I don’t find it at all unreasonable to believe that deamons can have a role in dreams. By their nature, that’s what they do, using our passions and wondering minds to trigger temptations which eventually lead to sinful acts. The patristical literature on this is plentiful. Great observation. Thoughts, perceptions and emotions can in fact be repressed into unconsciousness or be of such a weak constitution that they never make it into full consciousness, but they are still there. All of our thoughts are, theoretically, stored in the unconscious once they lose their strength or, again, are displaced by a defense mechanism (such as repression). Same goes with perceptions, and emotions are the epitome of the content stored in the unconscious. The unconscious is understood to be governed by affect content that does not follow any rules of waking consciousness, hence why dreams are so mysterious. I might need to disagree with this entire paragraph. The idea that dreams are a product of the imagination doesn’t make the necessary distinctions of what dreams are all about. Sure they are a product of imagination, but imagination as produced by the unconscious, or, more accurately in Jungian terms, the Self. This process has really very little in common with waking imagination. Also, I would be cautions in conflating what the Church Fathers and ascetics mean by “passions” with merely emotions. In the words of the Philokalia, passions are regarded as “something intrinsically evil, a ‘disease’ of the soul: thus St. John Klimakos affirms… that they are unnatural” (Glossary). This is not at all the same as emotions in general. Two problems here: (a) Jung would not claim any of these save the bit about the self communicating to the different ego states of the person. (b) The fact that “dreams are a total mess” is true only for the one untrained in the art of interpretation, an art which requires a comprehensive knowledge of psychology in general and dream analysis in specific. Dreams are in fact one of the best ways to access the ‘going-ons’ of the unconscious in a person. The unconscious operates on its own logic, which resembles precious little of waking logic, but that doesn’t mean it is hopelessly cryptic; again, not for the trained analyst. This is a great point. Unfortunately the way I wrote the article it sounded as if I fully comply with Jung’s take on the issue. I’m of the opinion that both demonic and divine entrances can be gained into one’s dream world, just as our regular waking conscious can be, perhaps more so due to its less inhibited nature. However, based on my own studies in both theology and psychology as well as hands on experience, I believe demonic invasion into a dreams is exceptionally rare in most individuals, relative to the nightly constant occurrence of dreams. Much of what is perceived as demonic activity, in that it terrifies the dreamer, is the terror of the elements concealed in the unconscious. We repress stuff for good reason. Much of what we repress is scary as hell. Again, thanks for the reply Cristian. It offered many points to help clarify and for myself to practice my own understanding of the subject. Dreams have always fascinated me, this is a tad strange, having experienced lucid dreams where I am able to make decisions being fully aware that I am dreaming which are a tad frightening….during some of those I was visited by family members who have passed. Before becoming a Christian I reasoned with myself thinking that the person who had passed was visiting me, not finding anything in the bible that explains passed loved ones making contact with us, now I am not so sure. Sorry for the late reply, nuddle2. I’m curious if you know whether or not you were on the verge of sleep or of waking, in short, in a half-sleep/half-awake state during these lucid dreams. I think this can make a huge impact in that the ego-consciousness has some play in the dream where it would normally be wholly blitzed by the unconscious, so to speak. Thank you so much for writing on this very misunderstood subject! My family and I are Orthodox Christians that have received much benefit from sessions with Jungian dream analysts. I believe God places in our path those things that are needful for our salvation. If a Jungian dream analyst is what you need to get your life on track and help you move forward out of destructive habits or patterns, then Praise God if you can find one in your town to help you! I’ve been reading some materials about dreams and I couldn’t but agree more in the things you wrote. 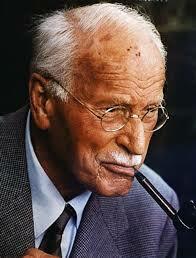 It greatly unclouded the things which I don’t quite understood while reading jung’s theory about dreams. On the side note Dream is elusive and different from individuals so it is a hard subject to understood. Speaking of Lucid dreaming I have been fascinated by it for some time now and have been trying to experience it. And fortunately I did succeed once which is both taxing and unrewarding. Because it only happen for a short amount of time and I woke up like I didn’t sleep at all. One of the greatest aspects of Jung lies in the fact that he could effectively negate the ideas of Freud on several matters. While Freud made the comment that all dreams have sexual undertones, Jung had the audacity to counter attack it. Hence, the words of Jung are of utmost significance.